Surprisingly mountain runner Chris Smith doesn’t live amid the hilly terrain which most think is necessary to re-enact the specific sessions to counter the steep gradients in the races. Smith started off running by joining his father – a sub-three hour marathoner – on a run at the age of 11 or 12. Not long afterwards, he entered a fun run along with his two older brothers and ended up beating them. At that time the nearest club was Aberdeen AC and his parents would ferry him the 20 miles each way on Monday and Wednesday evenings. Smith says: “I was a small teenager and thus enjoyed beating the bigger lads, which I did more readily at cross country. In my first year at the club I ran over 30 races with the best being runner-up in the under-13 Scottish Inter-Counties. Fast forward 20 years, after reading Feet in the Clouds by Richard Askwith – a book about a Londoner taking up hill running – a selector emailed Smith to encourage him to try out a few hill races after noting his fourth placing at the Southern cross country and eleventh in the English National cross country in 2011. 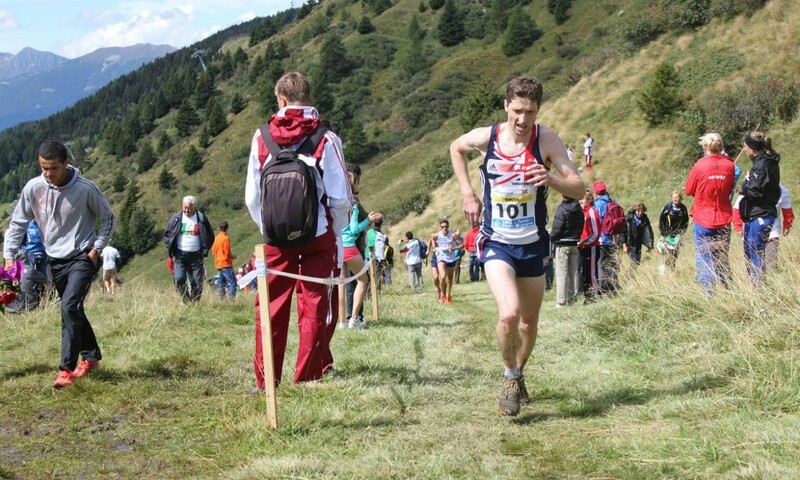 Smith, who finished 19th at the World Mountain Running Championships last year in Krynica, adds: “Two thirds of the training isn’t much different from cross-country workouts. My old coaches in Aberdeen, Ken and Joyce Hogg, instilled drills and plyometric work into me from the age of 13. Not only does this improve your strength and muscle reaction to impact, but it improves spatial and body awareness. It all helps when you are flying down a hill when foot placement is crucial and needs to be intuitive. They also taught me about Kenyan hills – a continuous 800m or so of undulating hilly loops that you run fast for up to 10km. “I always try to fit in a 3km-10km- paced active-recovery interval track session each week. There are often lots of transition periods in the races between the steep up or down, so you need to be able to recover while still running fast. Sunday: Would normally do 1hr 30min to 2hr run and alternate between a hilly or flat course depending on how much uphill/downhill work needs to be done. I had a little niggle so replaced the run with 1 hour of tempo cycling which includes a six-minute steep climb.